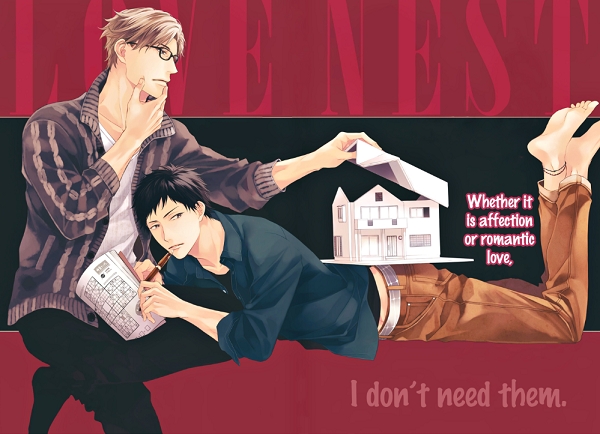 Summary: After being heartbroken by his crush from college, Hoizumi ventures into the world of homosexuality. After frequenting a certain gay bar, he becomes friends with the master there. Tired of living in his apartment with the noisy children above him, Hoizumi has some luck and the Master of the bar offers to let him live in his second home. However, Hoizumi doesn't find out until after he moves that he will have a roommate named Asahi. Can these two new roommates overcome their differences and become friends? Maybe even something more? For download re-upload requests, post [Only registered and activated users can see links. ] so the staff notices them. Note: Please only ask for re-upload if none of the download links work after checking ALL the pages of the thread. Thanks! Last edited by cruciatus; 08-14-2018 at 11:18 AM. I love Minaduki Yuu work. Thank you for sharing!